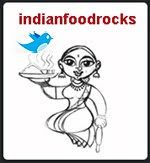 Indian Food Rocks: Quick Quiz: What am I going to do with this Adjustable Window Screen? Whenever possible, we slept inside mosquito nets and definitely so when we were in the suburbs of Bombay. The mosquito net needs to be tucked in really well under the mattress to 'secure' the space around the mattress. Medha would remember that she was still wearing her dangly earrings after she was tucked in and she would hang them from the top of the net or the sides, depending on her mood. We had to remember to rescue the earrings from the net before folding it and putting it away. Incidentally, folding mosquito nets is worse than having to do laundry. When we got back, there were earrings everywhere - on her vanity, on mine, on the kitchen counter, the cocktail tables, any flat surface. Even the floor. She has a jewelry box but things that go into it only end up becoming entwined with other things, and are never worn again because it isn't easy to extricate them from that mess in the 10 minutes she has to get ready every morning. 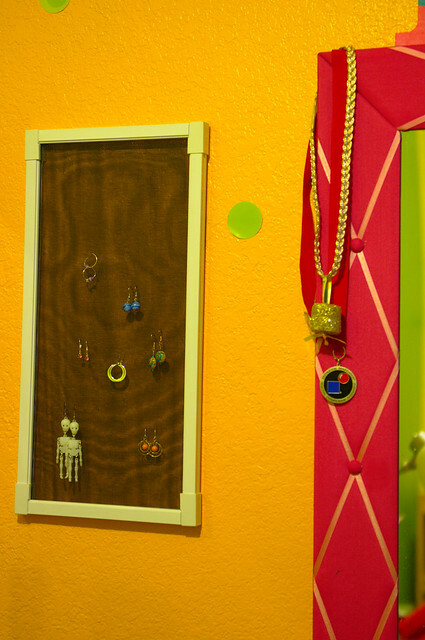 Since she was into organizing, I figured that a screen that was pinned inside a large picture frame would do the trick for the danglies, as those are the ones that get most entangled in the jewelry box. 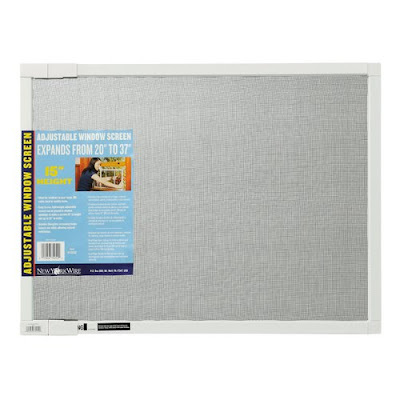 Luckily for me, I did not have a craft project on hand and instead two nails and this ready screen did the trick. We do have some problems. Studs and rings are proving to be a challenge. I hooked up an ear wire and that is holding up the lone pair of rings on the screen right now. If it works, I'll add more. Any other suggestions? For both rings and studs? I really need to make this work! Anita, I don't know how you do it but you got it! It's not so much to display her earrings as it is to store them in a spot that does not occupy too much space and that she can access easily. Joey, you were on the right track with the 'hanging' part! Anjali, mosquito net was a good start! Hmm. Does she rinse something out that needs to be dried flat? Or does she sleepwalk and you'll use it to prevent her from messing with something? do tell--I haven't a clue. I would have thought some craft project. But something that irritates you? and she did in bombay? think think think. Buy another one of those and a couple of double clips, use it to shade dry herbs in between the two. That would be used as a mosquito screen in Mumbai but wondering what you would use it for in Medha's room which is not in Mumbai. ummm... I think of using wire mesh to filter out objects or to cradle small objects. When you said it is to minimize your irritation and came to mind with something Medha did every night in Bombay... my thoughts were- firstt: hanging out small washables to dry. But you could use a drying rack, so I scrapped that idea. The second thought: maybe Medha wants to open a window at night, but in Bombay with pollution? That idea was scrapped. So I'm stumped for a third thought right now. Are you planning to use it to 'hang'/display the jewelery she wears during the day? Well tried! Anita got it! I just updated the post with what we have done with the screen. Wow! Looks wonderful, I never would have thought of it. I use a strip of woven ribbon to put my studs and other earrings on. I get whatever catches my eye at a Paper Source store as it's in my neighborhood. The ribbon is tied around the post on my bookcase. I have seen my niece in the US use this, she brought me one ( the second one) and its really handy. And lovely earrings at that! And beautiful room too. I like colour in the room Unfortunately, the person I like to sleep with ;) hates colour. So, we faced this colourful painting - punishment for not painting our room in a bright colour. Studs would be a problem...but they don't get entangled. I have a big box that has compartments: I keep a couple in each. Necklaces/chains look pretty on dainty knobs; you could add a few to the frame maybe? I want a prize! What kind of a quiz doesn't have a prize? I was so off... the cook in me kept thinking sieve, sieve sieve. LOL. Oh, I love her room color! Thats a brilliant idea Manisha. I bought one of these coat hanger type organizers for my ear rings recently. The pouches are divided across the length and you have them on both sides and mine can be zipped close. Got it at Marshalls, I think, for 15$. For a diy, here's what a friend of mine uses. Hey Manisha this post didn't show up on my reader. Now you must patent that idea before the street vendors in India copy it. Here is how I made my daily change handy for the rest there is a boxes with compartments. Thanks for all those wonderful ideas! ahmcguffin, I like the idea of a ribbon for studs. Thanks! Miri, won't they fall out if the stem isn't long enough? I'll try it cos I have lots of polystyrene lying around. Anita, they do! They get entangled in her necklaces and other stuff. It's possible! Trust me! Alpa, thanks! I had nothing to do with choosing those colors. I was trying to dissuade her from picking all bright colors. The fourth wall is a deep ocean blue. Priya I love that DIY thing! We don't have too many surfaces/counters/side-tables and I like to keep it that way else that would work so well! Anjali, the updated post, you mean? I'll have to check my feed settings. Wouldn't it be annoying though to have every updated post show up in your feeds? And, nice earrings! If the ribbon does not work then maybe a piece of cardboard with holes already punched in might work, like in your picture. I think I just missed the original post on the feed. Think its working now. Oh yeah, don't want updated posts to show though. Anjali, I am completely confused. Isn't that you who commented on Jan 23 with mosquito screen?